Sabrina D’Avalos’s father was murdered by the mafia. 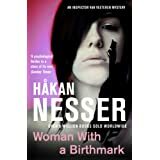 Now a district attorney, she wants justice, or revenge. Whichever comes first. The Camorra, one of the oldest criminal organisations in Italy, runs Naples. More powerful, more violent and richer than the Sicilian mafia, its hold is unshakeable. When Sabrina investigates a family found dead in a shipping container, she quickly uncovers links to the Camorra – and her father. The mafia’s most terrifying assassins are on Sabrina’s trail. But Sabrina is desperate to find out the truth about her father, despite the deadly risks she is taking. The first thing that strikes me about When The Dead Awaken, is Jacobsen’s fluid and totally engaging writing style. His prose just pulls you in, not only in the sense of location and atmosphere, but also by the little vignettes of the socio-political complexity of Italy that he melds into the central narrative. He makes it abundantly clear that the forces of justice in Italy work so at odds with each other, that the growth of organised crime over many years still remains largely unchecked due to the lack of communication and cooperation between the various factions. This is reflected strongly in his central protagonist, Sabrina D’Avalo, a public prosecutor whose father was murdered by the Mafia, working for the public prosecutor Frederico Renda (himself a victim of the Camorra’s wrath), being set on the trail of the Camorra after the discovery of two bodies identified as having been in a witness protection programme. 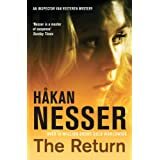 Sabrina not only has to elude the grasp of the criminals who pursue her, but also navigate her own relationship with the mysterious Nestore Raspallo who has been commissioned by Renda to watch her back. 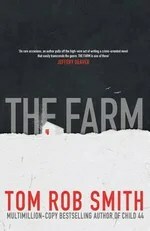 Where this book come into it’s own is not only in the tension we experience through Sabrina’s dangerous investigation, but how Jacobsen also incorporates a view of her investigation through the eyes of the head of this branch of the Camorra, Don Francesco and his right hand man- Urs Savelli- a fixer with a dark past and one of the most compelling characters in the book. Add into the mix the story of Giulio Forlani currently residing under the radar in the rural tranquillity of Castellarano, but with his own reasons for avoiding the attentions of the Camorra, and these different storylines solidify how Jacobsen manipulates and weaves the individual strands into one contiguous whole in such a readable style. Likewise, the characters mentioned are extremely well-drawn, and Sabrina D’Avalo centres the whole book, being clever, intuitive and driven by her own demons. 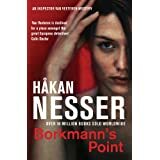 She assumes the same aura of feminine strength as Steig Larsson’s Lisbeth or Pierre Lemaitre’s Alex, holding the reader in her thrall throughout and stoutly supported by an equally strong cast of male characters, be they on the side of justice or crime. 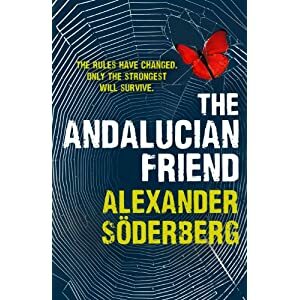 Not only is the plot extremely pacey and tense, but there are also rare little injections of humour, and some of Jacobsen’s physical descriptions of characters are a delight. I loved this one of a hotel receptionist, “She smiled. Or her upper lip curled, at any rate. Sabrina was mesmerised by tiny clumps of lipstick stuck to the black strands of hair on her upper lip. Like tiny unripe cherries, they swayed in the stream of air to and from the nostrils.” Marvellous. 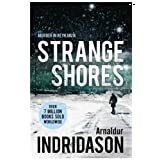 This is an easy book to recommend, harnessing as it does the very factors that make both Italian and Scandinavian crime so popular. 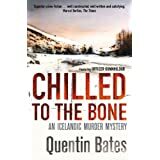 Sublime plotting, superb characterisation, a nod to the socio-political climate and a real sense of location all knitted together in a truly gripping thriller. Highly recommend this one. Steffen Jacobsen is an orthopaedic surgeon and consultant. This is his third novel. 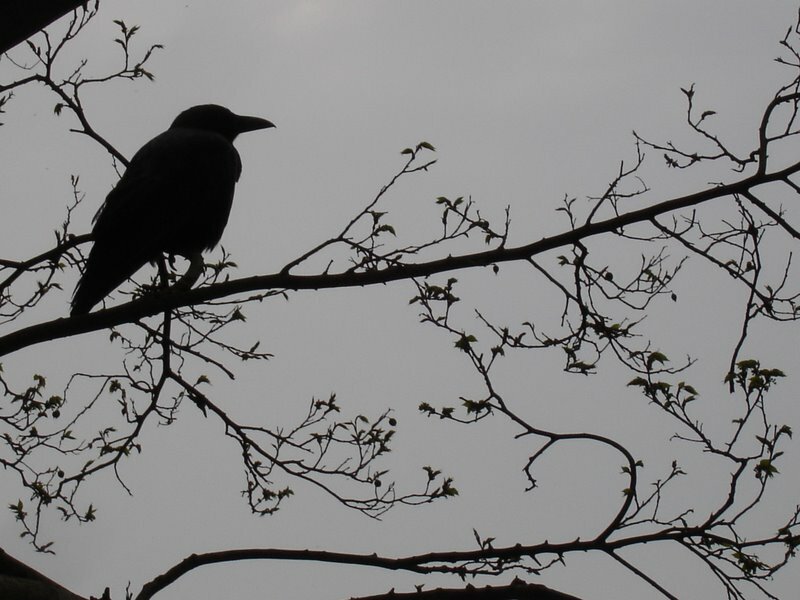 He was inspired to write When The Dead Awaken by Roberto Saviano’s non-fiction book Gomorrah, about the Camorra and by his travels around Italy. 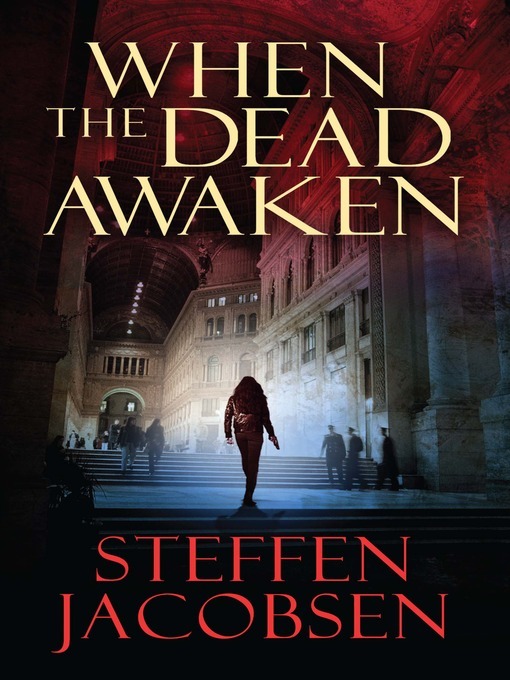 When The Dead Awaken is perfect for fans of The Killing, The Wire and The Godfather. Jacobsen’s bestseller Trophy has been number one in the Danish bestseller chart. He lives in Denmark with his wife and children. Winnie Maas died because she changed her mind . . . A community is left reeling after a teacher – Arnold Maager – is convicted of murdering his female pupil Winnie Maas. It seems the girl had been pregnant with Maager’s child. Years later, on her eighteenth birthday, Maager’s daughter Mikaela finally learns the terrible truth about her father. Desperate for answers, Mikaela travels to the institution at Lejnice, where Maager has been held since his trial. But soon afterwards she inexplicably vanishes. 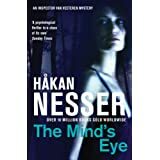 Detective Inspector Ewa Moreno from the Maardam Police is on holiday in the area when she finds herself drawn into Mikaela’s disappearance. But before she can make any headway in the case, Maager himself disappears – and then a body is found. It will soon become clear to Ewa that only unravelling the events of the past will unlock this dark mystery . 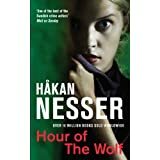 . .
It’s always difficult I would think to introduce a convincing new character from the shadows of such a compelling figure as Van Veeteren who has been at the heart of Nesser’s previous books, but he achieves this with aplomb. Using Van Veeteren as her point of reference in her machinations of this perplexing case, his voice can still be heard loud and clear, and Moreno soon proves herself to be an able protege of the now retired detective. Moreno is an assured combination of dedicated and compassionate police officer, cut through with the normal doubts of a woman in the throes of a new relationship with..well…in Moreno’s words ‘bloke/lover/stallion’. This is indicative of the humour that cuts through the plot with Moreno as queen of the apt aside to relieve the tension of this disturbing case, and as in Nesser’s previous books, these forays into the realm of humour are balanced perfectly. 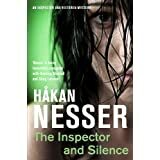 The characterisation is excellent throughout, with Moreno clashing horns with the utterly inept, and ‘stiff-collared pain in the neck’ local police chief Vrommel, but finds an ally in the charming and intuitive detective Vegesack, who more than proves his worth in terms of his dogged determination to get to the bottom of this case taking some degree of delight in ticking off his boss. 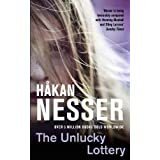 The plot mores than support Nesser’s assured characterisation, opening with a young girl’s mission to talk to her father having discovered his true identity on her eighteenth birthday. The only kink in her plan is that he is a murderer, incarcerated in a psychiatric unit, having been accused of killing a teenage girl some years previously. However, after meeting her father she disappears and so the intrigue begins. 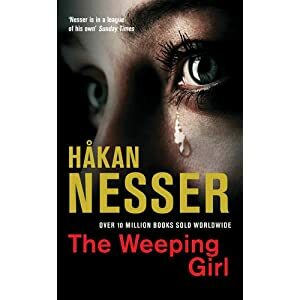 Moving fluidly between the earlier events leading to her father’s incarceration, and the real-time investigation of her disappearance with the unveiling of dark family secrets, Nesser effortlessly leads us through the case, with his trademark attention to procedural detail. 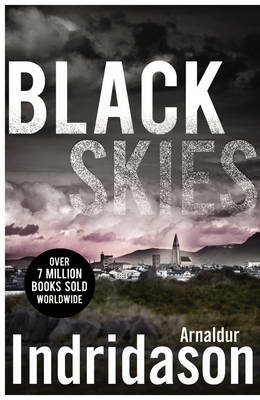 Admittedly stalwart crime readers may cotton on to how the plot will play out but, bolstered by the fine characterisation and a cameo appearance by the great Van Veeteren himself, there is more than enough to satisfy the reader and I have no qualms in recommending this as a good read overall.